Or does it? In fact, pairing red wine and cheese isn’t all that easy. Many red wines either stifle the flavor of the cheese or taste off when served with cheese. One reason for this is the tannins found in red wine, which don’t go well with many types of cheese. Many of the red wines we drink are dry and heavy. These are wines that generally go well with meat and rare steaks, but not with cheese. Heavy wines can easily overpower lighter cheeses, such as Double Crème. But if you do want to drink your heavy wine with cheese, then go with stronger, aged cheeses, such as a lovely Aged Gouda or Extra Mature Cheddar. Aged Italian cheeses, like Parmesan, Pecorino and Grana Padano, also go nicely with a heavy red wine. In fact, tannins are what make it possible for wines to develop over many years. We see this in the Italian Barolo wines, for instance, which are extremely heavy with tannins when they’re young, but grow softer and more flavorful with age. High-tannin wines go very well with aged cheeses that are full of flavor. The tannins in the wine attach to the proteins and fats in the cheese, effectively rinsing the palate after each bite. However, with younger cheeses, tannins attach too much to the rich flavor, causing the cheese to taste chalky and metallic. 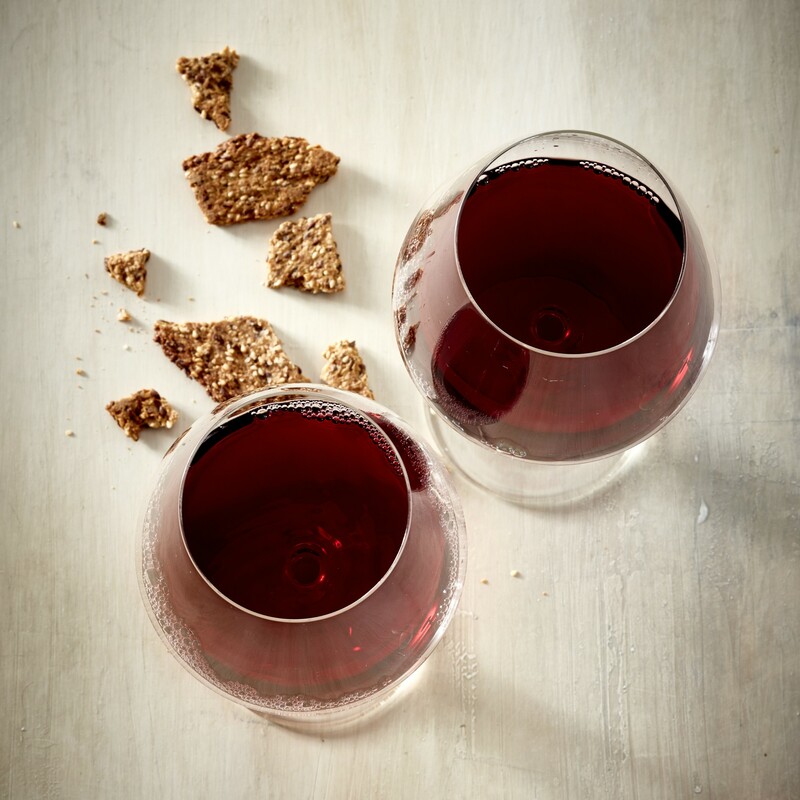 If you are serving a selection of light cheeses, such as Double Crème, red smear cheese and other white mold cheeses, it’s a good idea to serve a light and fruity red wine. Pinot Noir or Gamay are especially lovely – and you rarely go astray with a light Bourgogne or Beaujolais, both of which come from northeastern France. Amarone therefore makes an excellent cheese wine, as it’s a red wine made from dried grapes, which tend to be both heavy and sweet. However, it’s still important to remember to serve cheeses that match the heavy, flavorful wine. The disadvantage is that a good Amarone is often quite expensive. Fortified wines, like port, sherry and Madeira, also go very well with rich cheeses. A classic match is English Stilton and port, but other blue cheeses also taste lovely alongside a glass of sweet, flavorful port.